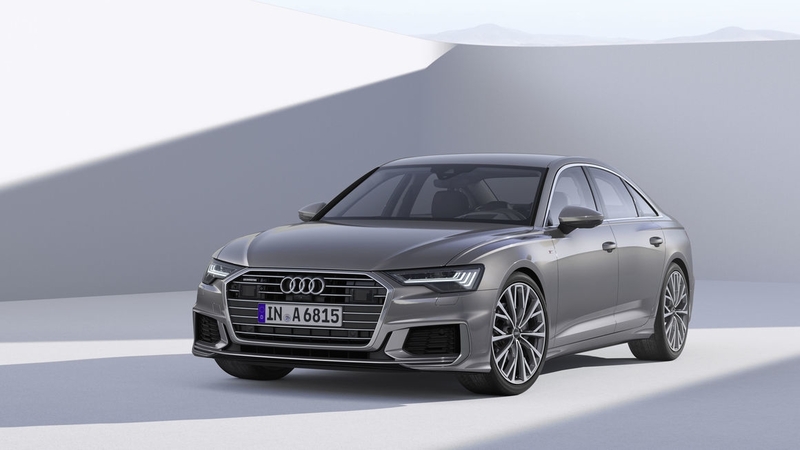 The Insurance Institute for Highway Safety honored Audi's 2019 A6 with its highest award, the Top Safety Pick+ due to the headlights used on the sedan. The Q8, tested at the same time, didn't fare as well because the model did not use the same headlights as the upline sedan -- the better headlights are available on the Premium Plus and Prestige models, not the base A6. There’s an old poem that goes something like this: “For want of a shoe, the horse was lost. For want of a horse, the rider was lost…” By the time the entire sonnet has completed, we have a kingdom losing a battle and falling. In other words, there’s a cause and effect for everything that happens. Here, it was a battle. In other parts of life, it may be cars or trucks. In tests conducted by the Insurance Institute for Highway Safety (IIHS), it was the difference between a Top Safety Pick award and a Top Safety Pick+ on two Audi models. The Top Safety is the top rating given out by the consumer insurance arm of the automotive group. Audi makes the vehicles, the A6 and Q8. The A6 is a traditional sedan, while the Q8 is a luxury SUV. In the case of the two Audis, though, both of them earned high marks in crash testing, their headlights were the influencers. According to IIHS, the 2019 Q8, the top-of-the-line SUV, received a Top Safety Pick award, the next to the most prestigious. On the other hand, the A6 won the prestigious Top Safety Pick+ honor. For the last year or more, the difference between scores that would have assured an automaker a top award has been headlights, says thecarconnection.com. For instance, in considering the A6 sedan and the Q8, IIHS took into consideration the A6 lights, which is rated better than the top-of-the-line Q8. So, the Q8 received the Top Safety Pick kudo, while the A6 earned a Top Safety Pick+. The top-rated A6 trim levels, Premium Plus, and Prestige carry the best headlights. These vehicles earned the top award. The base A6 surprisingly earned a “Marginal” rating (you would have thought the entire A6 line would have received the Safety Pick. As for the Q8, it managed “Good” ratings in the six crash tests. That performance had set the luxury SUV potentially on the path to a Top Safety Pick+ award. Indeed, the IIHS gave it a “Superior” rating for its crash avoidance features. However, headlight performance, often the determining factor of a top honor, was not up to the performance of the A6. The Q8’s headlights received only a “Poor” rating for low-beam glare. Looking at headlight technology, IIHS found last year that the best headlight tech goes into optional packages for new cars. Indeed, those packages are often limited to the top-of-the-line models. For example, when it began testing 43 2018 models, the insurance safety group made some startling discoveries. Of the 43 models examined, the best headlight ratings that they could manage were “Marginal” or “Poor.” This is also where the testing team discovered that the best headlight offerings were on the best available optional units, not on the average, run-of-the-mill models. One would have thought that the brand’s most active sellers would have been on the automakers’ headlight list. However, they were not. For instance, the testers found that some of the best-selling models on the market didn’t have the best headlights. For example, the Ford F-150 headlight, one of the best-selling trucks on the market, did not include the best lights. The same is true of the Chevy Silverado, another popular pickup.